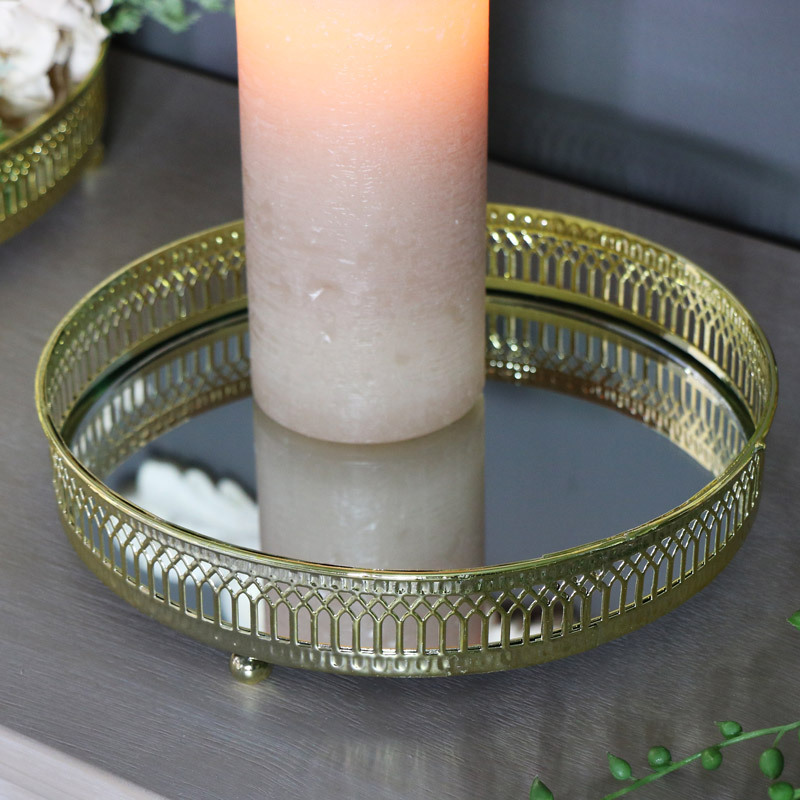 This mirrored tray is a great way to display candles, ornaments and your favourite perfune bottles. 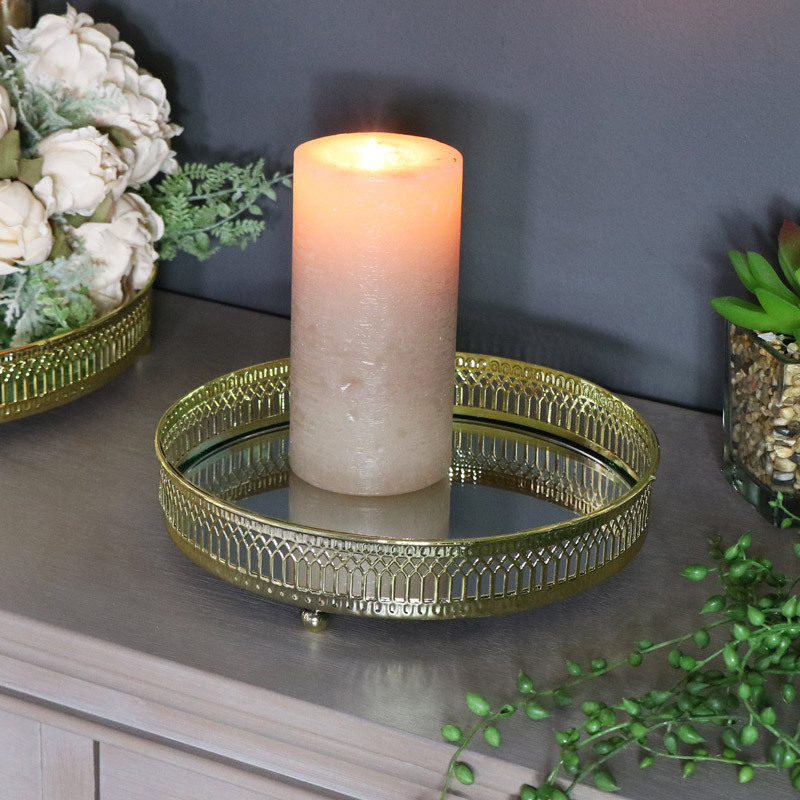 Polished gold metal frame surrounding a circular mirrored base, this will make a fabulous table centre for a wedding table, perfect for holding champagne. A great way to display ornaments, candles and simply the best way to show off your cooking skills by displaying cakes, muffins and sweet treats. Use at home, for those special occasions and events, also perfect for retail use. We have even more mirrored display trays in a selection of sixes, shape and colours with something to suit every occasion and decor. The frame of the tray is made from metal in cutout edging and finished in a polished gold, completed with a round mirrored base and resting upon balled feet. This tray is a fabulous addition to our extensive range of gifts and home accessories.